This is your step-by-step guide to the application and enrolment process for domestic students. Find out how and when to apply. Check on the web page for your chosen programme if it has a specific closing date. Applications will be processed up to the start of the semester depending on programme availability. We recommend applying as soon as possible to have the best chance of securing a place in your preferred programme. Not all programmes start in Semester 2. Check on the web page for your chosen programme if it starts in July. 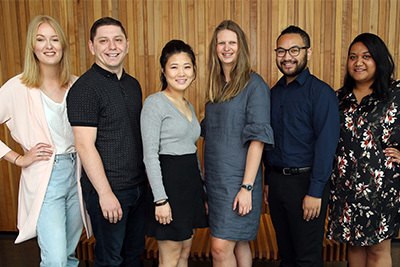 The Bachelor of Design and Bachelor of Visual Arts have an earlier application date - apply by 27 September 2019. Need help filling in the application? We’ll send you an acknowledgment email/letter, which explains how to check the status of your application. We’ll contact you if we need more information. We assess your application to ensure you have met the entry criteria for the programme(s) you are applying for. We consider your academic history and relevant experience to make sure you can succeed in your programme. We’ll let you know if your application has been successful. We would like to offer you a place to study at AUT. You have met some of the criteria for entry to your chosen programme of study and we would like to offer you a provisional place to study at AUT. If you don’t meet the rest of the requirements, for example University Entrance, then this offer will be withdrawn. If you don't meet the entry requirements or all places have been taken, check our website for other study options. We’re unable to make a decision just yet, but will contact you and let you know when we expect make a decision. You can accept the offer online. Don’t forget to sign and date the Acceptance of Offer form and return it by the due date. Your offer will expire after the due date. How you enrol in your papers depends on your programme of study. Your teaching department will let you know how to do this. You’ll then receive an invoice and pay for your fees. We’ll also send you an ID card and your AUT network login. Get info on the entry requirements you need to study at AUT. Contact the Student Hub if you’re not sure of your status. Eligible students starting tertiary education receive one year of full-time study fees-free.